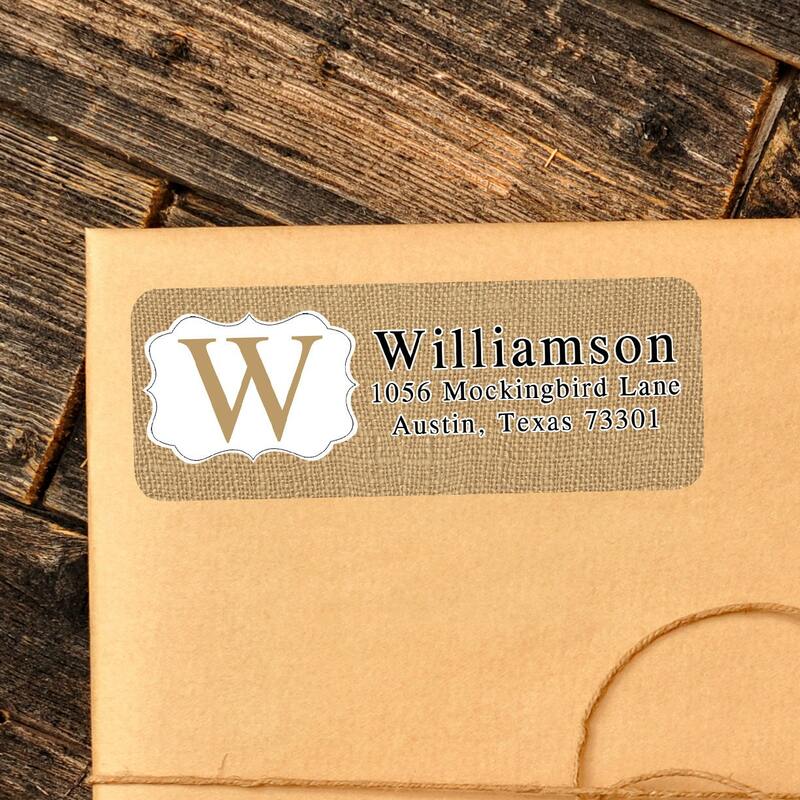 ♥ 30 Labels per sheet featuring a burlap and monogram design with your names and address. ♥ Personalized 2 5/8 x 1 inch rectangular return address stickers. great for anything you just want to add a different look to.